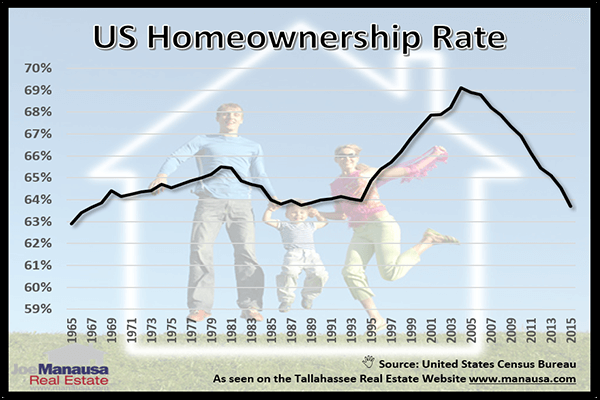 The US homeownership rate has been declining since 2005, and I believe it is the start of a very long-term trend that will see fewer Americans owning homes. In fact, the median US homeownership rate at the end of 2015 was the lowest on record going all the way back to 1967. The following graph shows the changes in the median US homeownership rate from 1965 through the end of 2015. The fact that the home ownership rate is dropping is not shocking, as nearly 70% of Americans owned their homes at the height of the US housing market expansion in 2005. That market was fueled by ill-advised loan programs that were not as strenuously enforced as the loan programs before and since. Today's edition of the Tallahassee Real Estate Newsletter contains a pretty thorough analysis of the market for new home sales in Tallahassee. You can subscribe to the newsletter here (it's free), and you'll receive it in your email inbox each month when it is published. Of course, you can just go to the Tallahassee Real Estate Newsletter Archives and get the current or past editions any time that you like. The Annual New Construction Edition examines how population changes, wages, employment, and the cost of building new homes have impacted the rate of sales and the supply of homes for sale today. 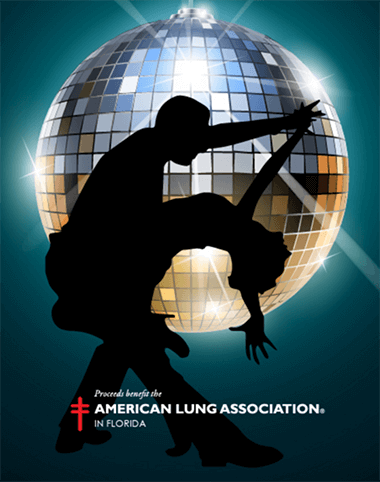 Just a reminder, the annual Oxygen Ball to support the American Lung Association is just ten days away. The "Dancing with the stars" event features many local celebrities, including my wife Michelle Manausa. Michelle is one of the dancers in this year's competition and she could use your vote. Please go to their website and give her your vote! Thanks in advance for supporting this important cause. (In case you were wondering, that is not my silhouette in the image on the left).